I am thrilled to announce that I'll be holding the First Vulnerability Vigil in Toronto! Everybody welcome, dressed or not. Please share with Toronto friends! Maybe you understand or have an inkling that our old structures are not working. This includes cultural ways of being (the water we swim in), which are pretty much invisible to most of us. I have been using the spacious form of performance art for more than 10 years to present a non-violent, non-rhetorical, feminine, indigenist, healing response to an insane world. I use my 54-year-old, baby-producing, cancer-surviving, naked female body to honour, share and express vulnerability. I am white and very privileged. This is also about showing up and using my privilege. 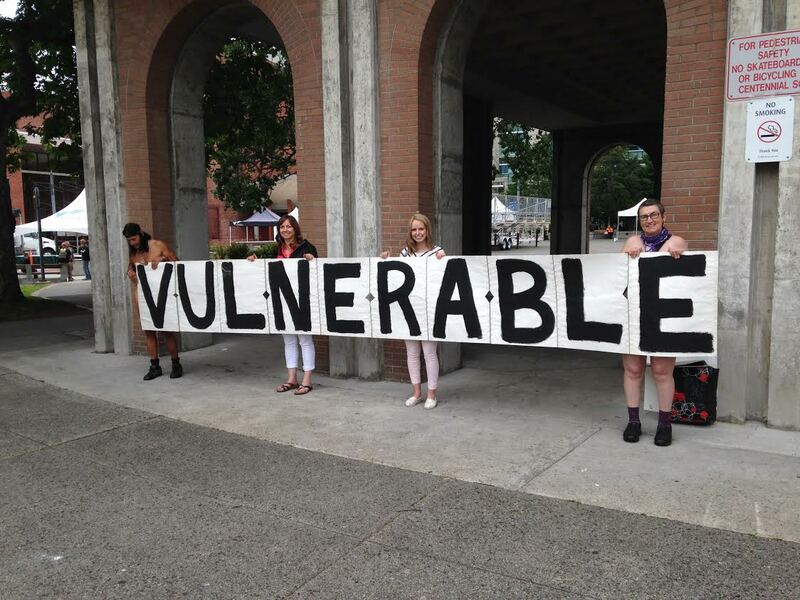 A Vulnerability Vigil is a ritual; it's about being the change; it's about being an ally; it's art. Holding vigils (and performing the Human Body Project) continues to be the only sane response I have. 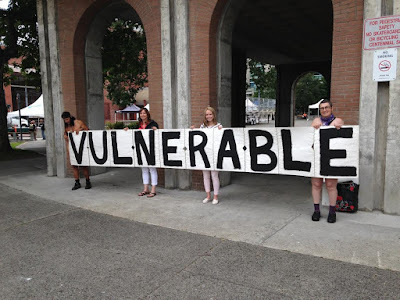 June 2016 Vulnerability Vigil in Victoria.